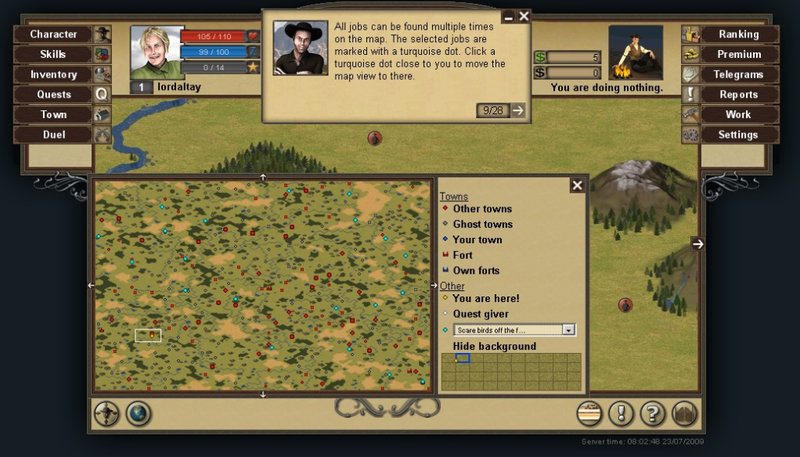 The West is a MMO browser game that has been brought to us by InnoGames, the same software house that delivered us the hugely popular Tribal Wars. Whilst the latter was the age old tried and tested settler’s type game, the former is something completely different. Rather than trying to build a city out of nothing and being the ruler, you are put in control of just one single citizen that has to try and make a life when living back in the Wild West. Once you have registered an account you do not have to go through any customizable options, just literally make a choice of which server you would to play on. Players are then ready to take in the helpful game tutorial which sees the odd character Todd O’Reilly take you under his wing and show you the ropes involved in playing the game. You then have to undertake tasks in order to progress through the game. These are given by NPC’s in the ‘Quest’ tab. Your very first quest will involve having a duel. 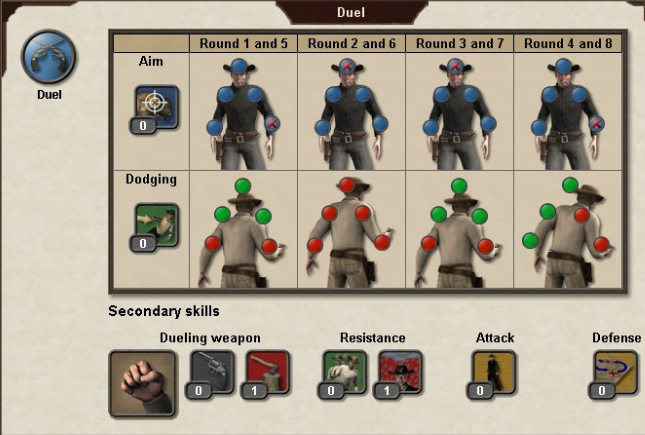 Duels are played across eight moves and require players to either use offensive or defensive actions on each of those moves. Once you have selected the sequence of actions that you are going to do when dueling, the duel plays out revealing the winner. Along with dueling there are other common tasks that a player will have to undergo such as picking tobacco or scaring birds or even tending to the sheep. 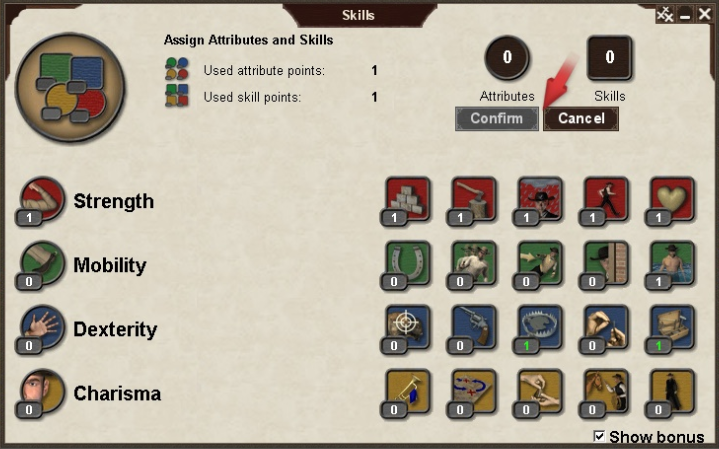 As you level up in the game you are able to increase stats such as strength, dexterity and charisma whilst you can also increase five main skills. Then once you reach level ten you can actually choose between four class types that are available. Each of those classes will bring their obvious advantages and disadvantages. The multiplayer aspect of the game is actually one of the plus points too, with there not only being the option to challenge others to a duel but also the ability to take part in a late part of the game. 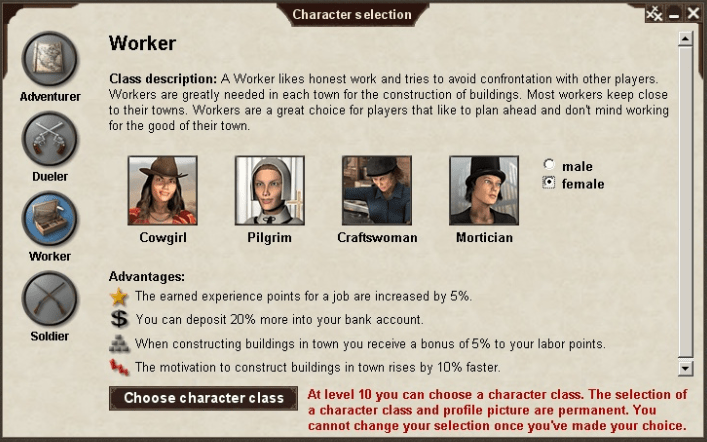 This part allows players to join cities which are run by players only. The only problem with this is that the players that pay for premium accounts have quite a large advantage over those that don’t. Whilst cash is the primary resource in the game, those that pay money can get nuggets. A premium account will allow players to use the nuggets to pay for bonuses throughout each month. There are four bonuses in total and if you wanted to keep them all active each month it would cost you $10. This is by no mans the most expensive game to stay afloat in but it may still turn players away. Overall the game is definitely an interesting one. 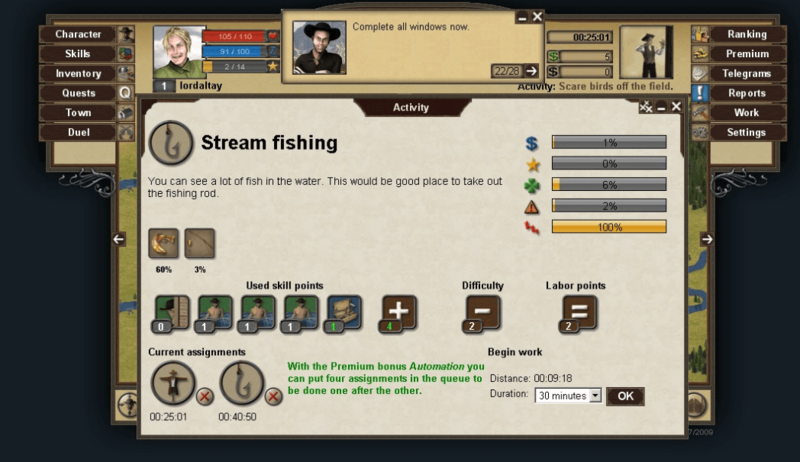 It is a fairly unique idea with regards to free online browser games and does offer a lot of variation with the different directions players can go in with regards to skills and stats. The battle system that is used in the game is also completely unique. Despite this, the game tends to feel so much more like a single player game than it does a MMO. This only really changes near the end of a round, with the only previous interaction of that being able to challenge other players for a duel. There are only so many times you can do that before it gets a little tiresome. With all that being said however, the game is fun and challenging and its uniqueness will attract players that are bored of the normal types of free online browser games.